Jason has bought a new car, and he is driving it for the first time in Korea. Today, he is exploring the immediate neighborhood. While exiting an alley, an 11-year-old kid suddenly darts out in front of the car. Jason hits the kid at 40 km/h, and the kid falls to the ground hard. Jason immediately stops the car and runs toward the kid. The kid has several bad scrapes but appears to be okay. Jason asks the kid (in English): “Are you okay?” The kid nods and replies, “Yes.” (Note: Most kids in Korea now learn English starting from grade 3.) Jason’s initial intent is to take the kid to the nearest hospital. But before Jason can say anything more, the kid is already limping towards the school playground where he sees his friends playing soccer. Jason thinks for a moment and decides to be on his way too. From a Korean legal perspective, what would be the worst possible scenario for Jason? The worst thing that could happen for a motorist who is partly/fully responsible for a traffic accident is to be convicted of “hit and run” (on top of facing liability for the accident itself). The difference between what is and isn’t a “hit and run” (in Korea) can sometimes be very subtle. I think this subject warrants some study. Here, I’m using the term “hit and run” (narrowly) to talk about collisions involving another person. 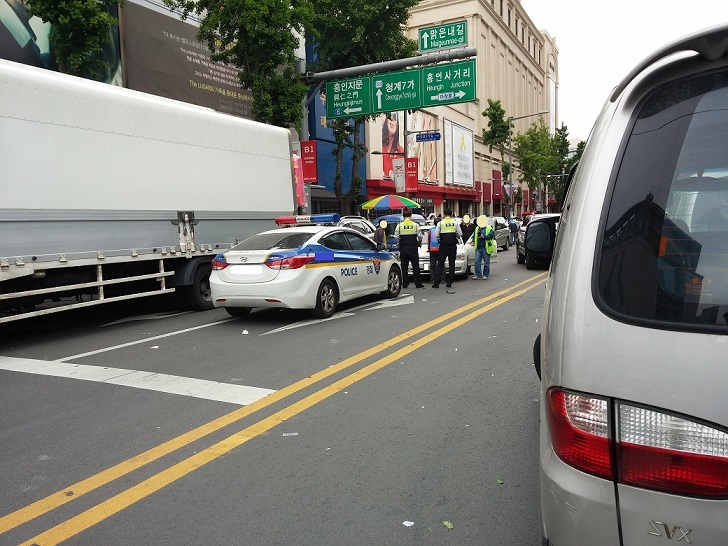 If you’ve collided with a fixture (and no other person was involved), you simply need to report the accident to the police “without delay.” Article 54 of the Road Traffic Act (도로교통법). In this case, the Court felt the driver did have such intentions because the kid (or his parents) would have had no idea how/where to locate the driver. The fact that the victim was an elementary school kid was also key here. Kids are generally deemed to lack the capacity to make informed (legal) decisions. Jason should have taken the kid to the hospital regardless of whether the kid said he was okay. Jason should have contacted the parents at the very least! Jason really should have gone after the kid. Even if unable to locate the kid, Jason should have called the police to report the accident. Only these measures would have established Jason had no intention of “fleeing” the scene. Jason might not have meant to “flee” per se, but that is not how the court will view his actions. In the end, that’s what counts. 1. Stop and disembark immediately (but also safely). 2. Check to see if the pedestrian is okay. Call 119 if he/she seems hurt. Or, take him/her to the hospital yourself. 3. Even if the pedestrian seems okay, ALWAYS provide him/her with your contact info + leave w/ his/her consent. NOTE: Motorists found 0% at fault (i.e., 100% the pedestrian’s fault) are ineligible for “hit and run.” This is still quite rare in Korea. So, follow these procedures no matter how slightly you might have hit the pedestrian. When in doubt, check it out. In the example situation, Jason was clearly at (some) fault because in “school zones” (어린이보호구역), motorists may not operate a vehicle in excess of 30 km/h. In “schools zones,” motorists are required to proceed with extra caution, and they will be held to a higher standard of due care. 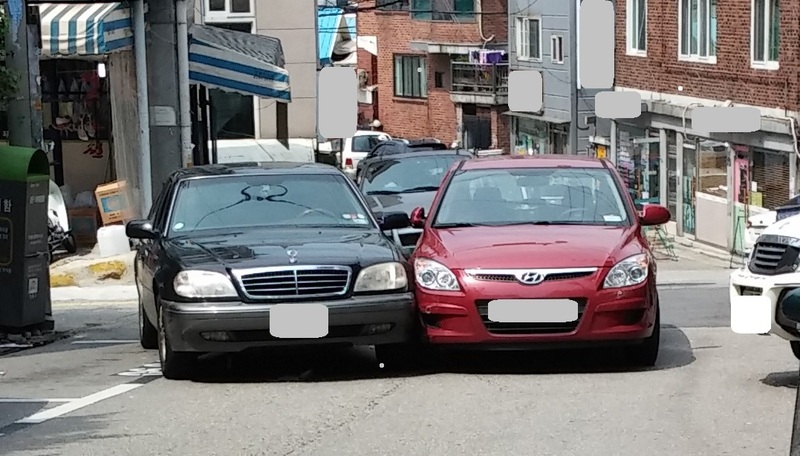 Even in the most favorable “hit and run” scenario, the perpetrator faces a fine of 5 million won and his/her license is revoked (most likely) for 4 years. The reason you should insist upon taking the victim to the hospital + provide him/her with contact info is because many traffic-related injuries are latent injuries. Serious symptoms may take time to occur. DID YOU KNOW? In Korea, a person suspected of having committed a “hit and run” may be arrested even w/o a warrant. See Criminal Procedure Act (형사소송법) Article 200-3 (Emergency Arrest). So far, I may have sounded a bit alarmist about “hit and runs.” But in reality, not all traffic accidents are eligible for “hit and runs.” One of the other requirements of “hit and run” is that the victim suffer “bodily injury” (상해) that requires at least 2-3 weeks of medical treatment (not necessarily hospitalization). A slight bruise alone will not likely qualify. Still, many injuries tend to be latent injuries, so you never know. Just because an injury seems negligible (at the time) does not mean it can’t/won’t qualify as “bodily injury.” So, always give your contact info! Of course, another requirement of “hit and run” is that the motorist be at some fault for the accident. Only a motorist who is found 0% responsible (i.e., 100% the pedestrian’s fault) for the accident cannot be convicted of “hit and run.” But like I said, 0% is still somewhat rare in cases where the victim was a pedestrian. Let’s take the example of jaywalking accidents in Korea. In Korea, the default “fault ratio” between the jaywalker and the motorist is 6:4. Meaning, the jaywalker is 60% responsible, while the motorist (who hit the jaywalker) is 40% responsible. This means a driver cannot just go hitting a pedestrian because he/she happens to be jaywalking. Motorists generally have a duty to look (carefully) ahead and try to avoid collisions if possible. Motorists are also required to (at least) consider the possibility of a jaywalker (in crosswalks especially). But, the 6:4 default ratio applies only to situations where: 1) a reasonable motorist should have been able to avoid hitting 2) a jaywalker who was crossing a crosswalk on a red light. 6:4 is the “starting point” so to speak. The ratio is adjusted from there. For instance, if the jaywalking happened at night, the ratio could end up being 7:3. Because it would have been more difficult (for the driver) to spot the jaywalker. Different factors come into play. I found two random video clips on YouTube. These video clips are quite disturbing, so please do not watch them if you don’t want to. Right below would be a typical 6:4 in my opinion. Why? Because there were warning signs ahead of time. Even though the pedestrian/lady was clearly jaywalking, the driver involved in the accident should have been alerted by the fact that the filming car was already honking several times and actually slowing down. The driver should have thought, “Hmm, why is the car beside (and ahead of) me slowing down and honking (even though it’s our green light to go)? Also, the lady was crossing relatively slowly, so it wasn’t like the she popped out of nowhere. In my opinion, the driver had just enough time to spot her. What the driver did right, however, was to stop and disembark immediately. Otherwise, it could have been a “hit and run.” Let’s consider another example. Below is more disturbing. FYI, (car) “black boxes” are small (surveillance) cameras installed in the front and/or back of a vehicle. They record everything happening around the vehicle. They’re like “Google Glass” for cars. In Korea, it’s quite legal to install a (car) black box. It’s encouraged. 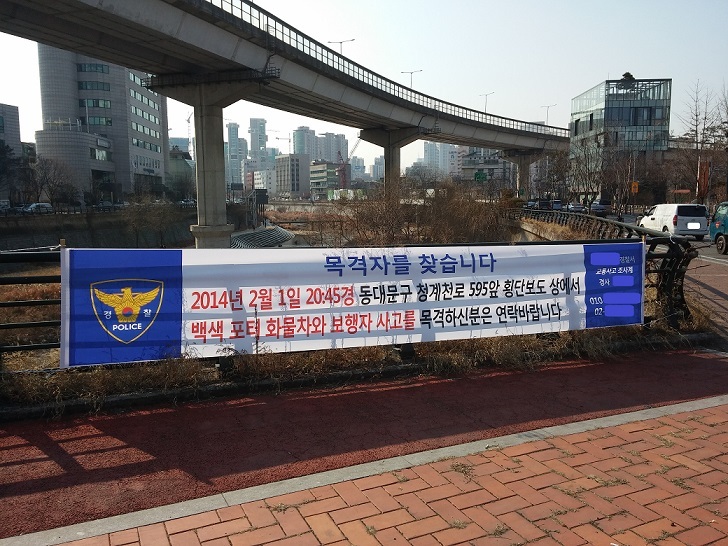 You receive a small discount on auto insurance (영상기록장치특약). So, it’s encouraged, but not mandatory. Some black boxes record 24/7. A blue flickering light (like above) means the device is recording. (I’ve seen white and green lights as well.) In the evening, I normally walk by many parked cars with blue flickering lights. 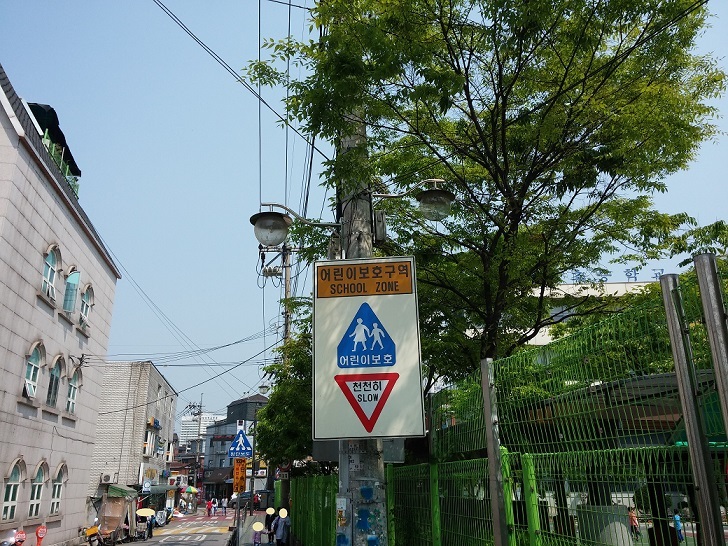 In Korea, pedestrians are probably recorded way more frequently than they realize. DID YOU KNOW? Black boxes also record conversations taking place inside the vehicle. These are sometimes used to help prove infidelity here in Korea. 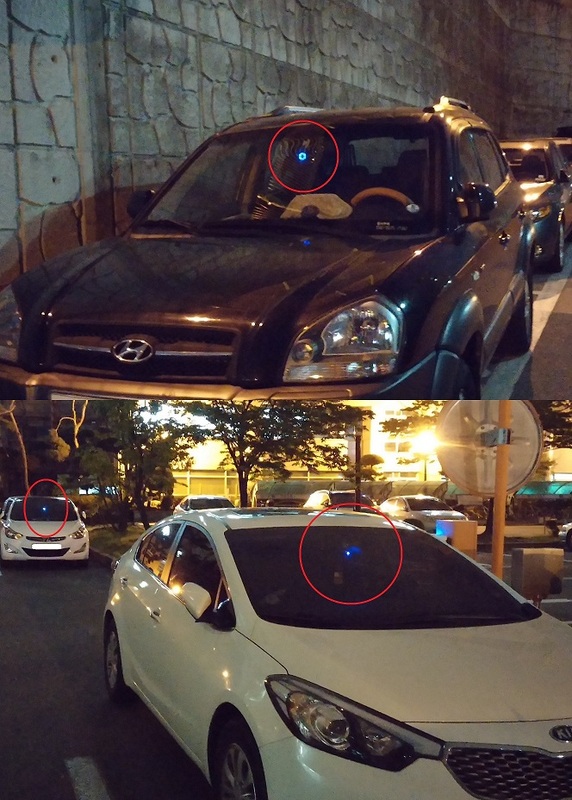 If you are in a car (in Korea), it’s wise to assume what you say can/is being recorded. I am generally in favor of black boxes. They help clarify who’s (exactly) at fault in case of accidents. They also help catch/prevent insurance fraud. If you are thinking about purchasing a black box, I recommend you get a high-definition one. You should also check whether it records well even in the dark and whether its camera angle is wide enough. 1. DO stop the vehicle and disembark immediately/safely. DO call the police (112) and your insurance company. 2. DO see if the other party involved in the accident is okay. Do call 119 if anybody needs medical attention. 3. DO try to see if there were/are 3rd party vehicles around. Even if you have a black box yourself, it’s likely that a 3rd party (car) black box recorded more useful footage. If you cannot get a hold of the owner of that car (which is likely), at least try to write down the license plate number. 4. 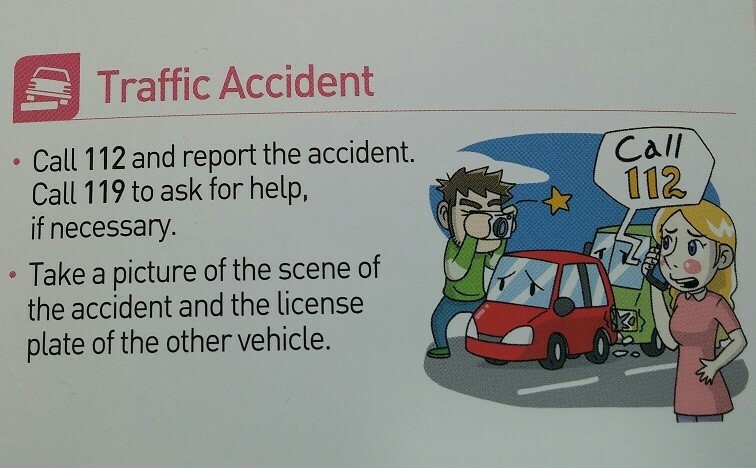 DO take photos of (and record) the accident scene from different angles and vantage points. Also, DO use white spray paint to mark where/how the cars were last situated. 5. DO try to get a hold of witnesses. Ask for their contact info. The courts like believe witnesses you can prove they were actually there. 1. DON’T say things like “I’m so sorry!” or “Oh, my bad!” (for obvious reasons). 2. DON’T allow (private) wreckers or tow trucks to remove/move the vehicles before you’ve fully photographed and/or recorded the accident scene. Once the police arrive, tell them accurately and truthfully what happened to the best of your knowledge. Many times, it’s not even clear who’s the victim. So, always try to obtain black box footage and/or witnesses. Chances are your accident was recorded by a 3rd party (car) black box. Try to find that car! In Korea, criminal settlements vs. civil settlements are separate and different! Separate and different in cases where the motorist (at fault) faces both criminal and civil liability. In most run-of-the-mill traffic accidents, the motorist (at fault) only faces civil liability. Assuming the car is insured, the insurance company takes care of everything, and there is only the issue of a civil settlement between the victim and the insurance company. Under certain circumstances, however, the motorist (at fault) also faces criminal liability. In such case, a criminal settlement can become necessary in order for the motorist (at fault) to avoid actual prison time and/or avoid detention (during trial). The following are 11 egregious traffic violations for which the motorist (at fault) could face criminal liability. NOTE: When the victim suffers severe permanent injury, the motorist (at fault) could likewise face criminal liability (regardless of the type of violation). In “hit and runs” or “drunk driving” where the victim is killed, a criminal settlement will indeed be necessary for the motorist (at fault) to avoid going to prison (and receive probation). In such cases, the (criminal) settlement amount could even reach 50 million won! For other (somewhat less egregious) accidents involving death, it’s normally around 30 million won. When drafting a criminal settlement agreement, it’s vital for the agreement to be worded properly so as to prevent that amount from later being deducted from the civil settlement agreement. From the victim’s perspective, the wording must make clear it’s just the criminal settlement amount he/she is (for the moment) agreeing to receive. DID YOU KNOW? All settlement agreements should include the full names (+ resident/alien registration numbers) of the parties, address + contact info, and a brief description of the accident. It’s not wise to include info regarding who’s at fault for what %. This refers to the compensation the insurance company pays the victim for personal injury. Of course, when the victim is dissatisfied with the amount he/she has been offered, he/she can always sue the insurance company. Insurance companies almost always offer lower amounts than what would normally be decided by a court. But, it’s not always wise to sue because civil lawsuit usually entails attorney’s fees and considerable time (e.g., the insurance company offers 3 million won instead of 5 million -> not wise because attorney’s fees alone will cost at least 3 million). It’s wise to sue only when the amount offered is considerably low to what is reasonable to expect (e.g., the insurance company offers 50 million won instead of 80 million). These are mostly accidents involving death or some permanent injury. Sometimes, when the victim gives semblance of lawsuit, the insurance company offers an increased amount. Once a civil settlement is reached, the victim cannot receive additional compensation. The exception would be compensation for latent injuries found much later that were unforeseeable at the time. 1) How badly was the victim hurt/injured? 2) How much money does the victim earn? 3) Was the victim at fault too? If so, how much at fault? [Example Situation] Laura is an instructor at a university in Seoul, and she currently earns KRW 200,000 (pre-tax) every day. 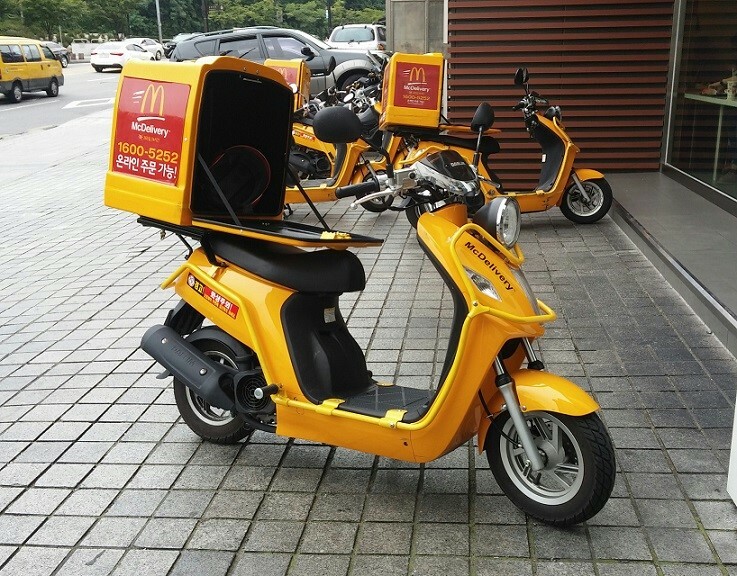 One morning on her way/walk to campus, a McDelivery scooter hits her (pretty bad). As a result, she requires 3 weeks of medical treatment (of which 2 weeks are hospitalization). No permanent injuries. Let’s say, the accident was 20% Laura’s fault (because she was texting while crossing). How much can Laura expect (as compensation) from the insurance company? In most traffic accidents in Korea, the victim requires 2-3 weeks of medical treatment (like above). First, let’s look at the claim for lost wages. Insurance companies like to calculate “after-tax” and usually compensate only 80% of that. (In contrast, courts normally recognize “pre-tax” and 100%.) So, the insurance company will probably compensate Laura, 80% of (KRW 175,000 x 14 days) which is around 1.96 million won. She could also get around KRW 8,000 for going to and from the hospital for 7 days (i.e., the 3rd week) which is KRW 56,000. We add those two, and we have 2.02 million won so far. Second, Laura will probably receive around KRW 200,000 for “psychological pain and suffering.” We add that to 2.02 million won, and the total becomes 2.22 million won. Now, Laura was 20% at fault, so that amount is deducted pro rata. So, she’s left with about 1.78 million won. But wait, that’s not all. Third, let’s assume the insurance company paid 1 million won in hospital bills. Laura was 20% at fault, so she has to reimburse the insurance company pro rata. KRW 200,000. If we deduct that amount from the 1.78 million won, we are left with roughly 1.58 million won. That’s the final amount she will probably receive. It would not be wise for Laura to file a lawsuit against the insurance company because of attorney’s fees. Laura could represent herself in court, but she would have to appear in court several times on weekdays. She would need time/effort to prepare as well. FYI, the statute of limitations for tort claims in Korea is 3 years from the date of knowledge of the accident+perpetrator or 10 years from the date of accident/tort. So, Laura has to basically settle or sue within that time frame. Earlier this year, a district court in Daegu found a defendant negligent for having allowed his Jindo Dog bite to death the plaintiff’s Chihuahua. The court recognized damages for “psychological pain and suffering” which amounted to KRW 300,000 (or USD 290). This was on top of money to buy a new pet. 2. How Much is a Life Worth in Korea? In Korea, “insurance fraud” is punished under Article 347 (Fraud) of the Criminal Act (형법). The punishment is imprisonment for not more than 10 years or a fine not exceeding 20 million won. Watch the above video clip for examples of how “insurance fraud” is committed. In order to avoid/catch “insurance fraud,” 1) You yourself should abide by the law at all times, 2) Install a car black box, and 3) Report all accidents to the insurance company and/or police. If iffy, always report. Many con artists are “grinders” and don’t ask for (too) much in the hopes that you won’t report. They like to go after motorists who are in the midst of violating a traffic law (e.g., illegal U-turns). In alleys and at night too. 1. 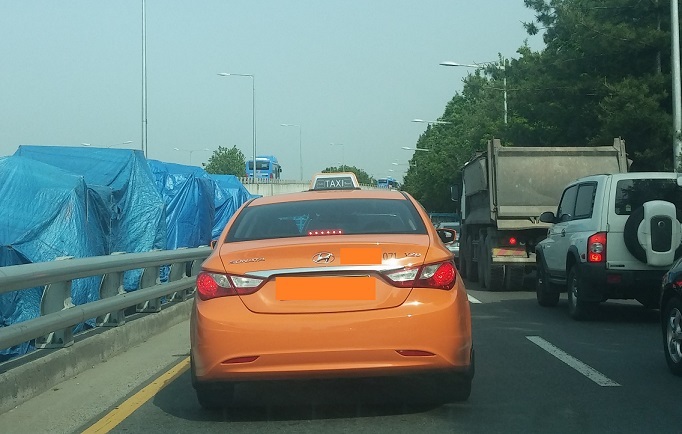 If (ever) the taxi you’re on gets into an accident, ask the taxi driver for his/her “insurance application number” (보험 접수 번호), and write down the license plate number. Even if you are in a hurry and the injury seems negligible. You never know. 2. Please buckle up even if you are in the rear passenger seat. I recently read that only about 20% actually do (in Korea). But, it’s just as dangerous. You could also be held around 5% responsible (i.e., 5% at fault) for your injuries in case of an accident. 3. When getting on a taxi that has been waiting in a queue, try to get on the one that is in the very front (as opposed to any). I’ve seen taxi drivers here in Korea argue/fight fiercely over this issue. I’ve even heard of ensuing (taxi) car chases. 4. Taxi drivers cannot refuse service just because he/she is unhappy with your requested destination (i.e., too near). Starting from next year, taxi drivers who are caught unjustifiably refusing service 3 times w/i 2 years can face revocation of their license. If in Seoul, you can report such violations by calling 120. Write down the license plate number, and take a photo. Korea may be relatively safe in terms of random/violent crimes. But, not so much when it comes to traffic accidents (or even SCUD missile attacks). I recently read that South Korea ranked third among OECD countries in traffic accident mortality rate (Mexico and Chile each ranked first and second). In Korea, there are about 20 million cars, and about 5,000 people lose their lives every year (due to traffic accidents). The figures have gone down dramatically (over the years), but I feel we still have a long way to go. As a pedestrian here in Korea, I still can’t help but feel that cars/drivers come first, and then pedestrians. When outside Korea, I am often pleasantly surprised/moved by how long cars/drivers are willing to wait (for me to cross first). Please walk and drive defensively in Korea. We each have to make efforts to look out for ourselves. Don’t assume others will abide by the law. Don’t assume the police will enforce the laws. Please remind kids not to jaywalk. Try not to use your smartphone while crossing the street or operating a vehicle.